The Baltimore Injury Lawyer Blog talks about a trial where the jury awarded all of the Plaintiff’s medical bills but awarded nothing for the client’s pain and suffering. This was not the type of case we would appeal anyway because while our lawyers were not thrilled with the verdict, the client was extremely happy with the result being more than 8 times the offer. But if our lawyers had appealed this verdict, I think we would have failed. In Patras v. Syphax, 166 Md. App. 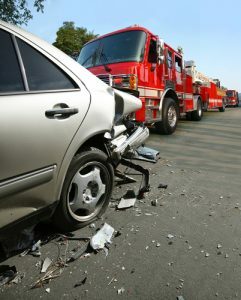 67 (2005), the Maryland Court of Special Appeals heard an appeal in a rear end auto accident in Montgomery County on Georgia Avenue (which is familiar to many of us). The case involved the Plaintiff’s request for a new trial because of a claimed inconsistency in the jury’s verdict. The jury found the Defendant negligent but refused to award any damages even though the Defendant’s expert admitted the Plaintiff was hurt in the accident. The Maryland Court of Special Appeals affirmed the refusal of Montgomery County Judge Nelson W. Rupp, Jr., to grant a new trial because a reasonable jury could have found that the Plaintiff met his burden of proof on the negligence claim but did not on the injury claim. Specifically, the court held that based on jury instruction that Plaintiff was obliged to prove by a preponderance of evidence “each item of damage claimed to be caused by a defendant,” the jury could have reasonably found that as a result of the car accident, the Plaintiff was injured but had failed to meet his burden of proof to demonstrate that money damages should be required for any particular item of damage. Essentially, I think the court is saying that while the verdicts may be illogical, they are not necessarily inconsistent and the court is looking for some basis – even if unlikely – to reconcile verdicts so they are not inconsistent. I think the same logic would be applied to pain and suffering damages post the Baltimore Injury Lawyer Blog post. Interestingly, the Maryland Court of Appeals granted certiorari and then later determined the petition had been “improvidently granted.” I have no idea what happened there. But we will never get the backstory.